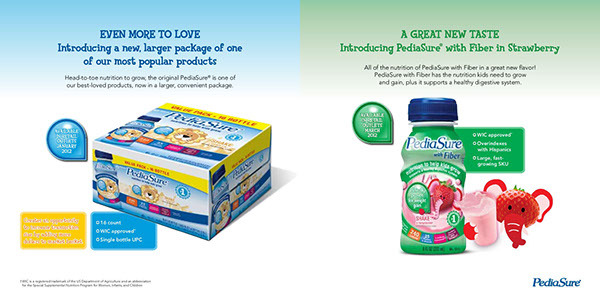 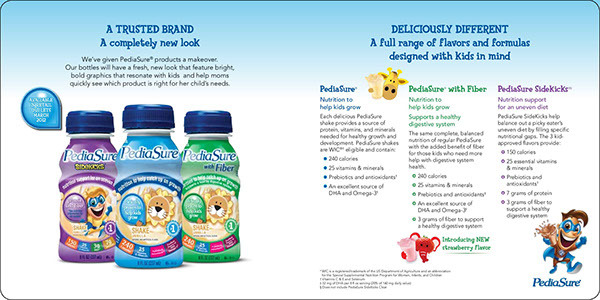 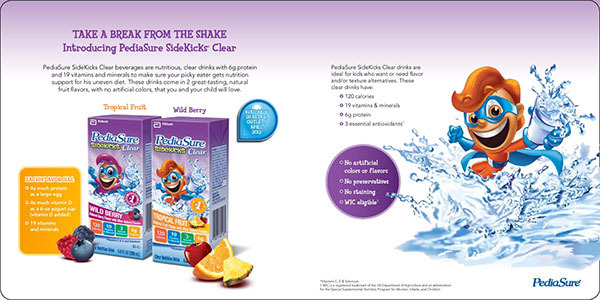 PediaSure is a pediatric nutrition product that is manufactured by Abbott Nutrition to help children who either need to gain weight or need additional nutrition. 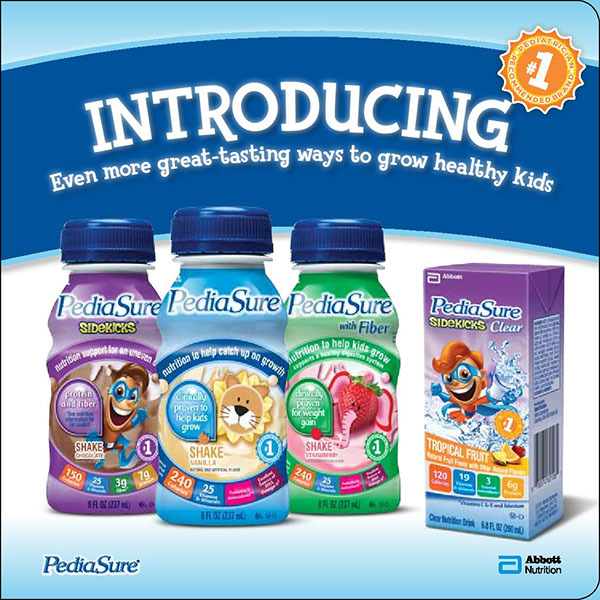 When marketing this product, our team was tasked with speaking to a variety of stakeholders: parents, physicians, and sales representatives. 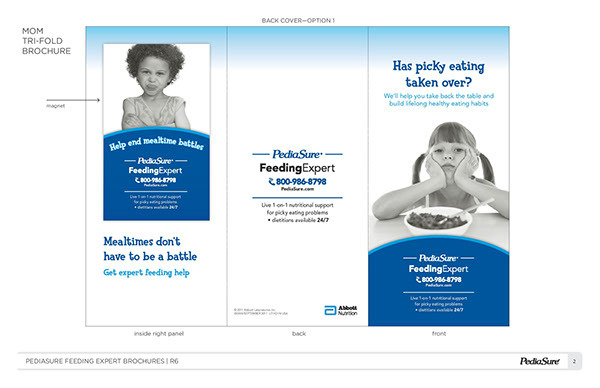 To reach the consumer, we created brochures, print ads, web content, and point-of-sale pieces, such as shelf talkers, blades, and floor displays. 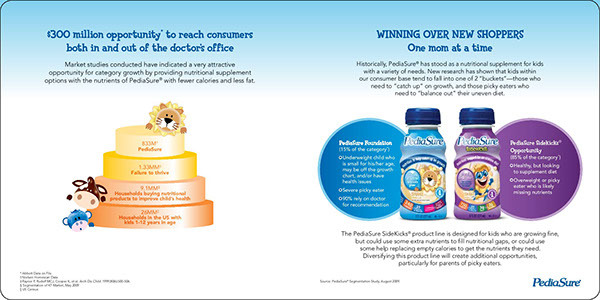 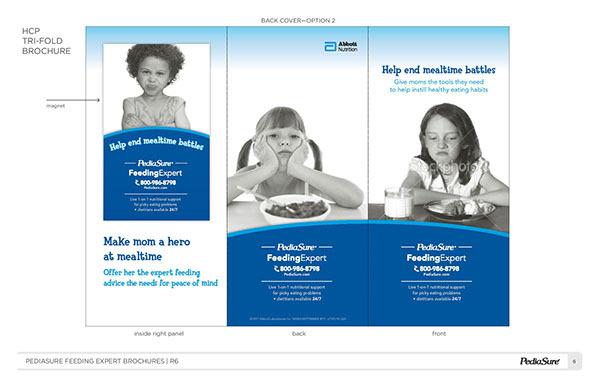 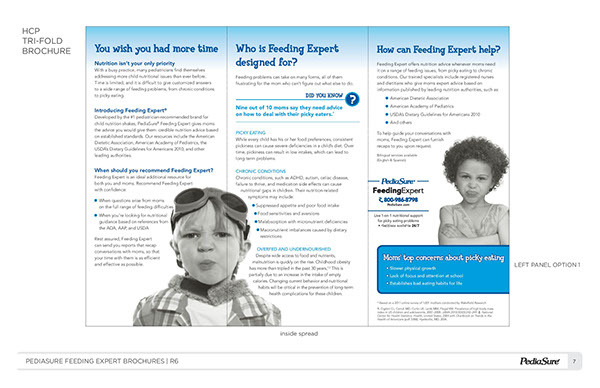 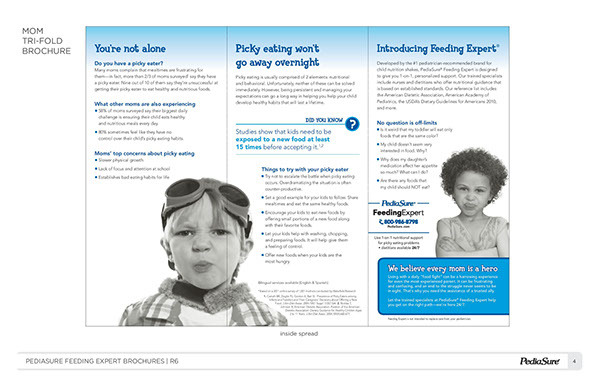 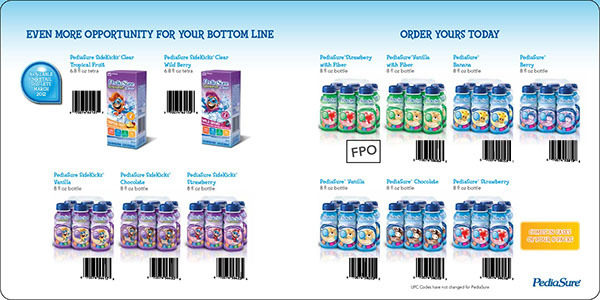 For the pediatrician, we created mostly print materials, in addition to a sales aid that assisted sales representatives speak to physicians and encourage them to recommend PediaSure.